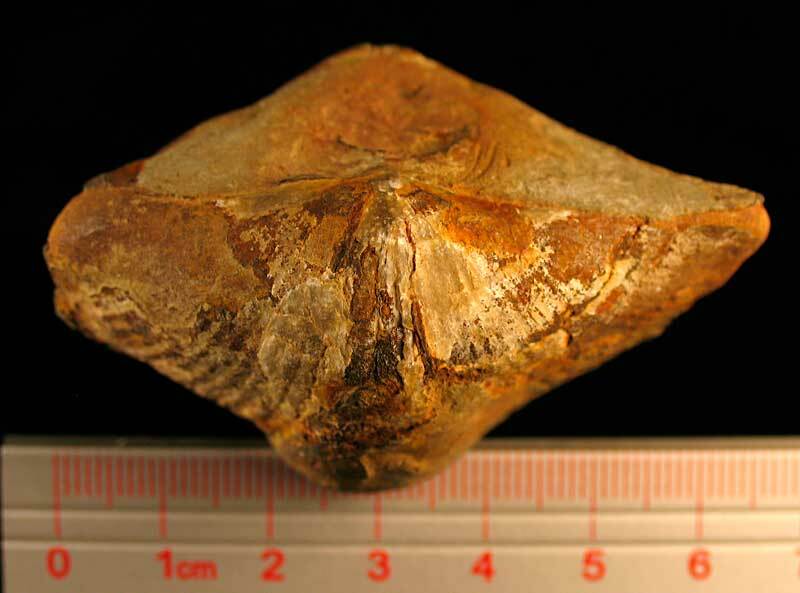 As Paleozoic brachiopods go, this is quite a large species. 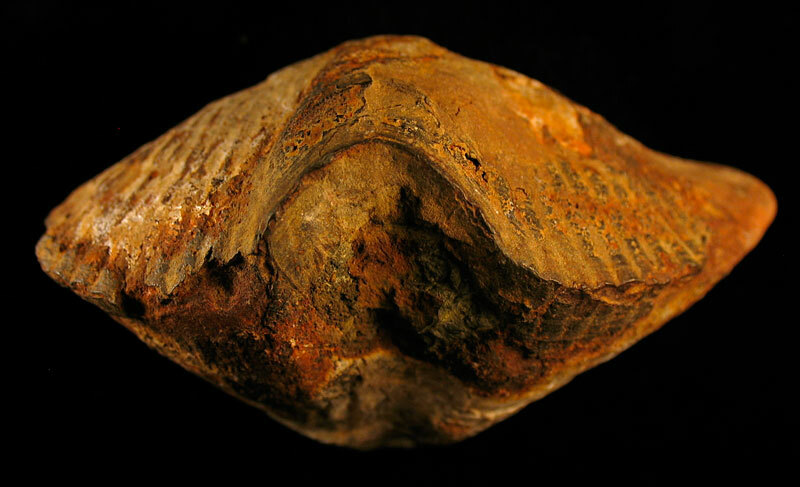 One can see the ruler in the last picture showing this damaged specimen exceeding 6 cm in width. 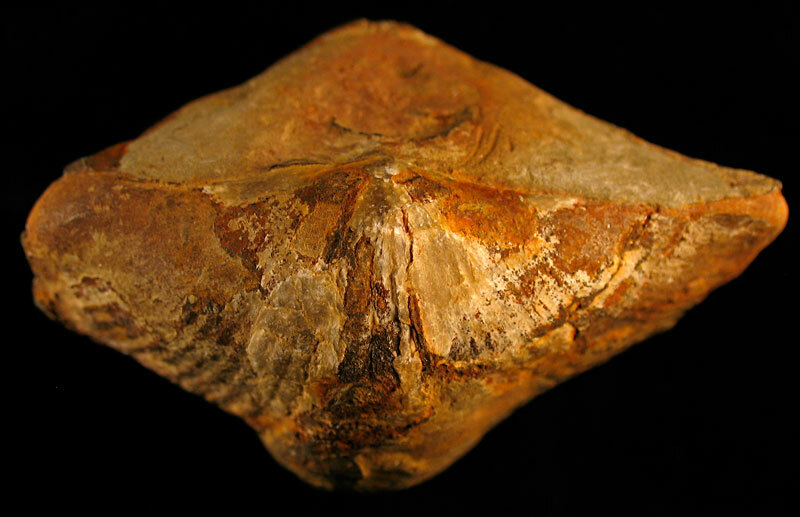 Existing in the Mississippian Period, fossilized remains are found in the Borden Group and Spickert Knob Formation of Clark County, Indiana. It is thought the identification of this fossil is Syringothyrus texta. 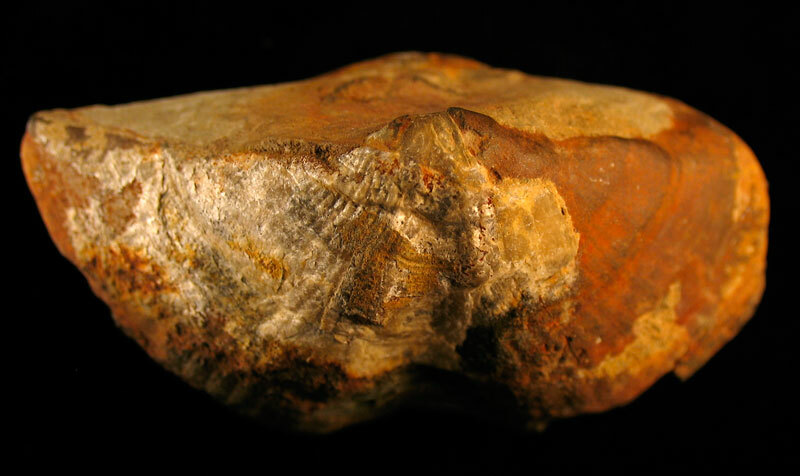 Thanks to Kenny for the fossil! 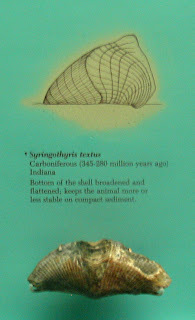 The Smithsonian National Museum of the Natural History has a display showing how various brachiopods anchored themselves to the sea floor. 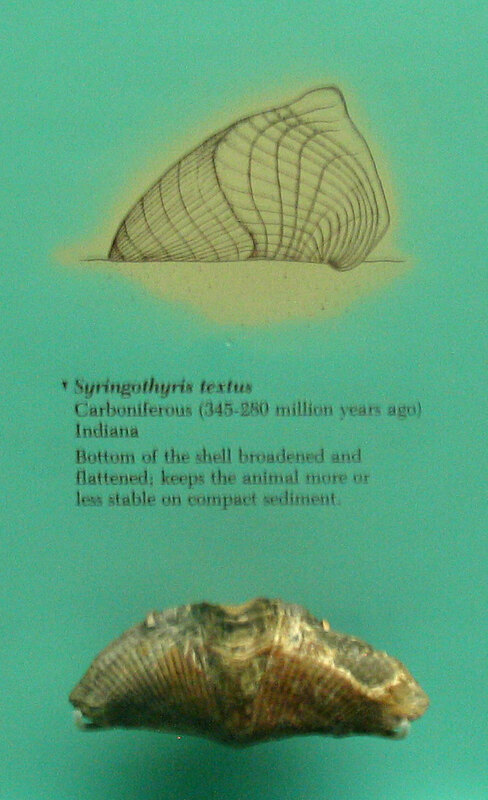 See picture below illustrating the flat bottom of the Syringothyris textus. This fossil is probably from the same locale as the one highlighted in this post.